Graduation season has arrived! Exciting ceremonies, decorated caps, and judicial-looking gowns are popping up in abundance. 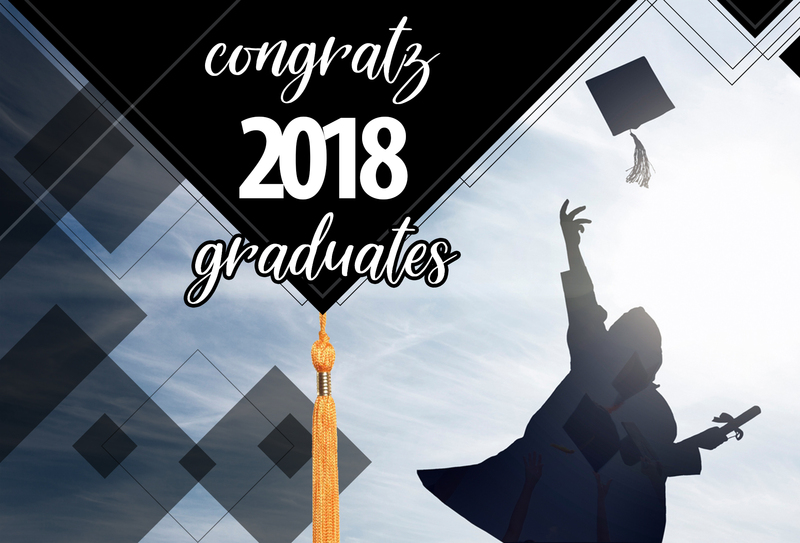 The word graduation stems from the Latin “gradus,” which translates to step. Each graduation is a step toward new opportunities! Whether it’s high school, arts school, med school, or anything else to get festive about, we have a variety of unique selections that are sure to fit every occasion! An amazingly priced, multifunctional writing tool for the graduate on-the-go! Use one side to write down quick notes, while the other side holds a stylus which can be utilized for any touch screen device! Use it for your personal items such as phones and tablets, or decrease the risk of germs by pressing it to ATMs and airport kiosks. Over 50 stunning shades allow any artist to create dynamic lettering and multi-dimensional portraits! Colors are based on everything from gemstones to emotions! A unique pen for the standout student, with a square design that prevents the pen from rolling off of desks! Coated with either brass plating or black lacquer, and tied together with a silver chrome clip to accent the design. A durable (the name says it all), classic pen, representing the original designs from the 1800s. For those with an old soul who appreciate timeless writing instruments, Conklin fountain pens have it all. This range of waterproof backpacks and messenger bags from Italian designer Nava are minimal in style, and house several multifunctional compartments to fit a variety of tablets, laptops, phones, notebooks, and more! Whether you’re sending invitations for a grad event, birthday party, or wedding, Pineider’s high class stationary is sure to represent your milestones with unparalleled elegance. The Italian brand has existed since 1774, and has been a significant symbol utilized by Italy’s royalty throughout its years. Celebrating a graduation from medical school? Marlen’s Ippocrate pen is dedicated to the world of medicine and healthcare professionals. A clip in the shape of the Rod of Asclepius, and a barrel adorned with the image of Greek physician Hippocrates symbolize the power of medicine, and all of its advancements. Regardless of if you’re celebrating your own milestone or a loved one’s, it’s sure to be a joyous occasion! Check out all of our brands to find gifts to suit all needs!